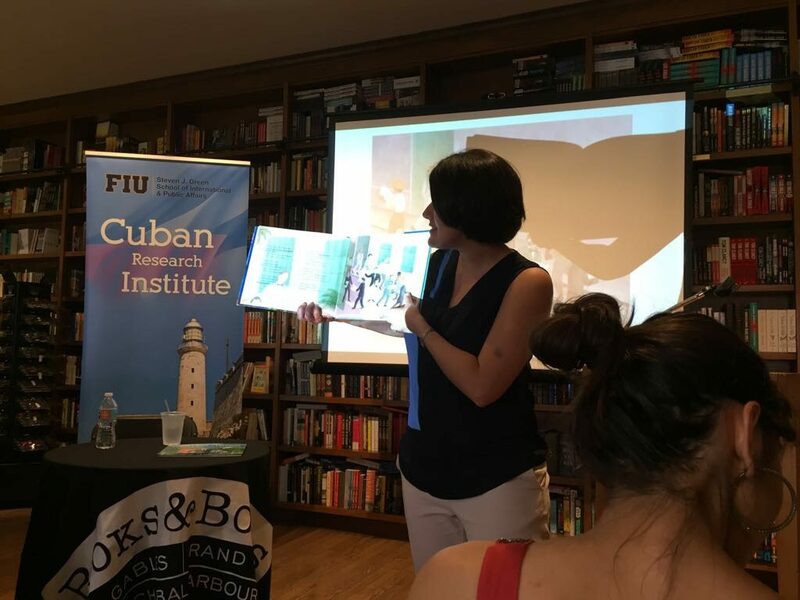 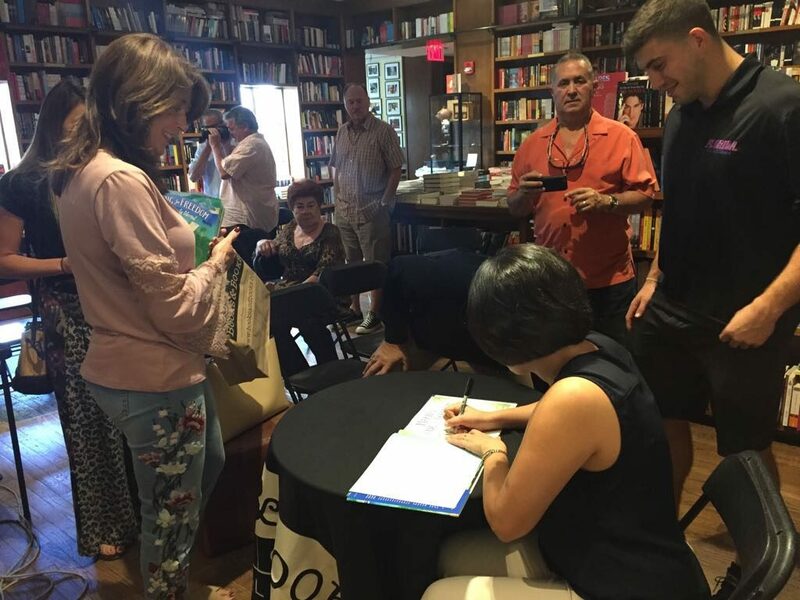 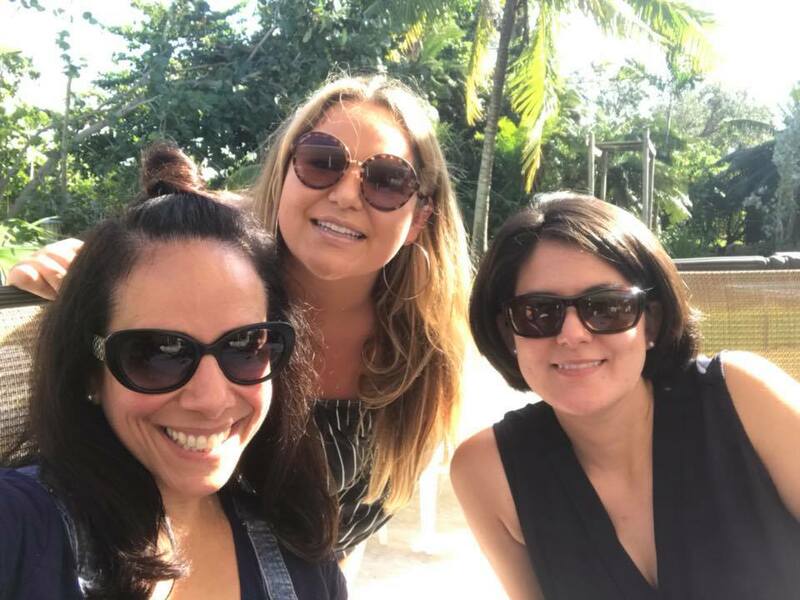 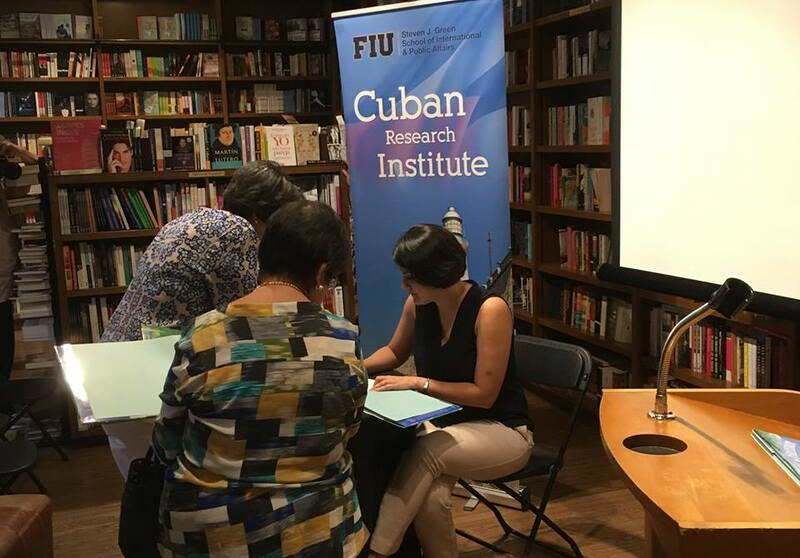 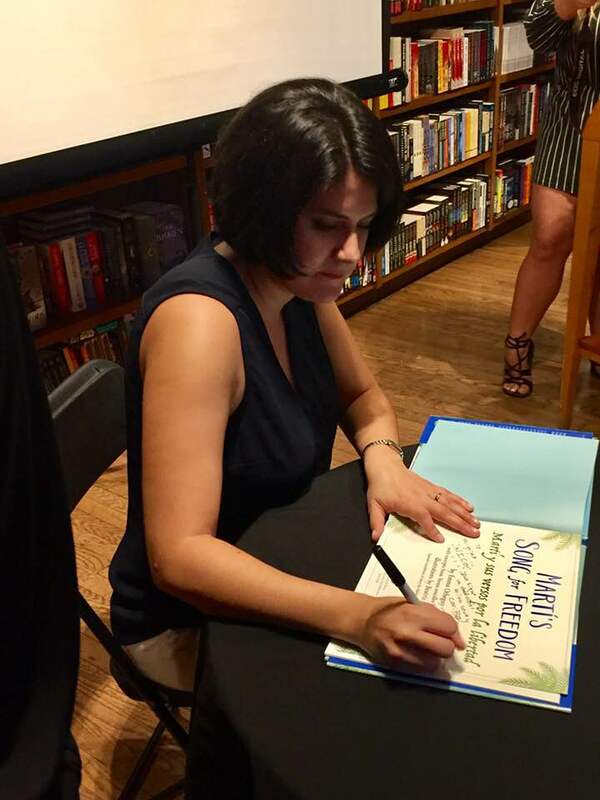 I’m overwhelmed by the love and support I felt in Miami: my family who came out in true Cuban-style droves to celebrate my book, the teachers and librarians who welcomed me into their schools, the Books & Books staff who go all-out to promote book culture in Miami, and the Cuban Research Institute, which explores Cuban culture on both sides of the Florida Straits. 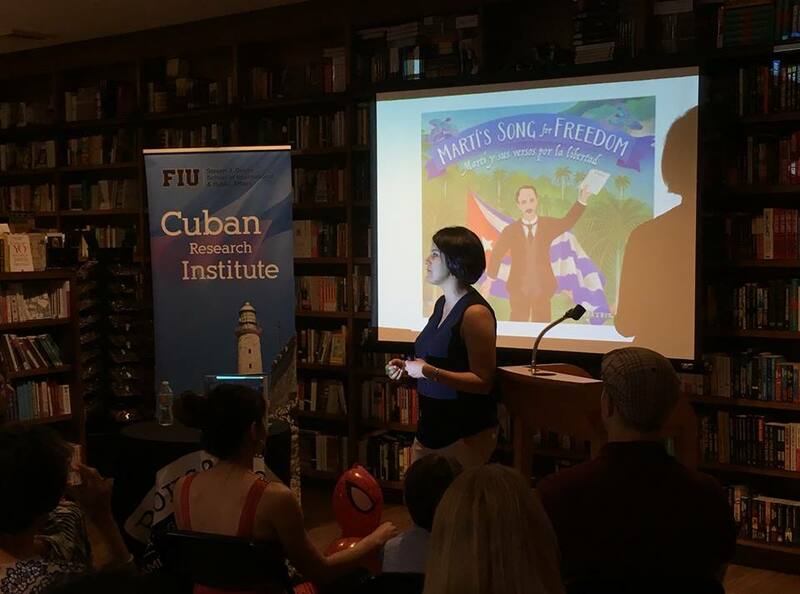 I’ll let these photos speak for themselves, but wanted to give an extra-special thanks to Jorge Duany and Aymee Correa for inviting me (twice!–before and after Hurricane Irma), everyone at Books & Books for their fabulous space and Olympic book-sale coordinating, my aunt Emmy for never getting sick of hearing my presentation, my cousin Arabella for her guitar skills, and my aunt Debbie and uncle Sweepey for hosting me! 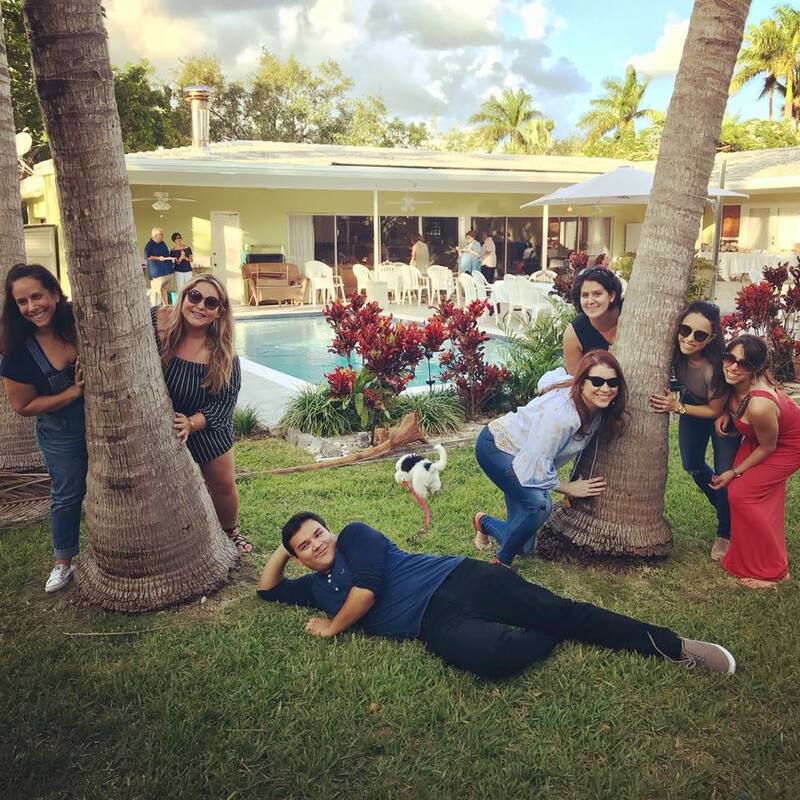 I love Miami. 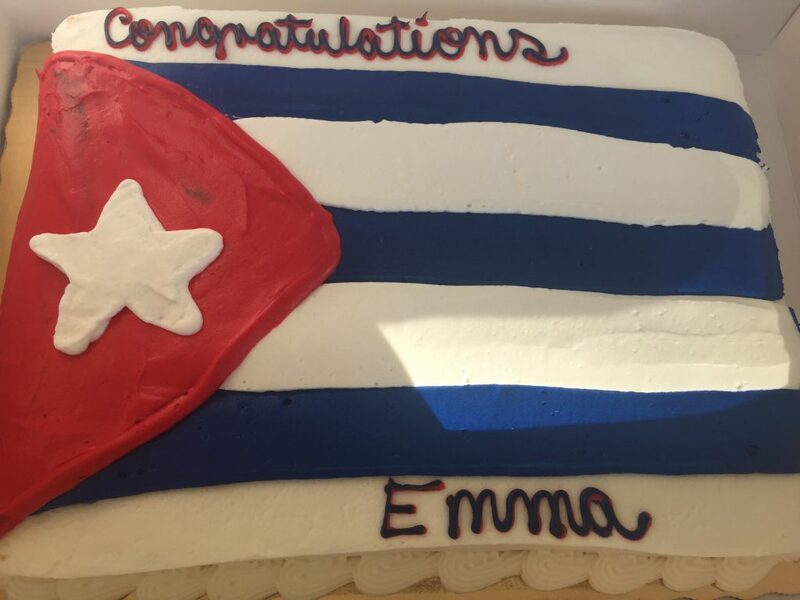 They made me a sheet cake! 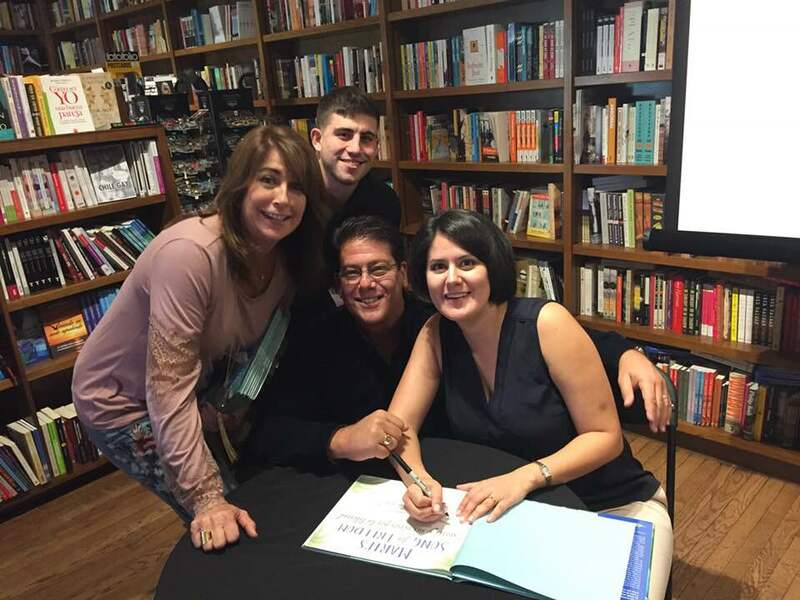 What a family!